The game where the ground disappears beneath your feet. In Crumble, the world is a platform that consists of boxes, and one by one they fall away. The idea is simple: if you fall, you lose. 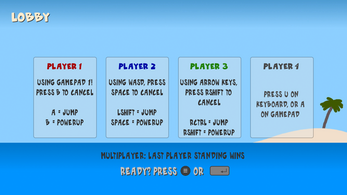 In the multiplayer mode, you have access to a range of powerups that help you mess with your opponents. Try knocking them over the edge - the last man standing wins the game! This is kinda the intended way to play the game. 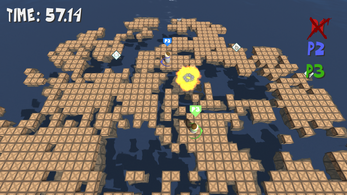 In the singleplayer mode, you play a time-attack style game where you try to last as long as possible. The old rules still stand, including a countdown clock: if you run out of time, you lose. 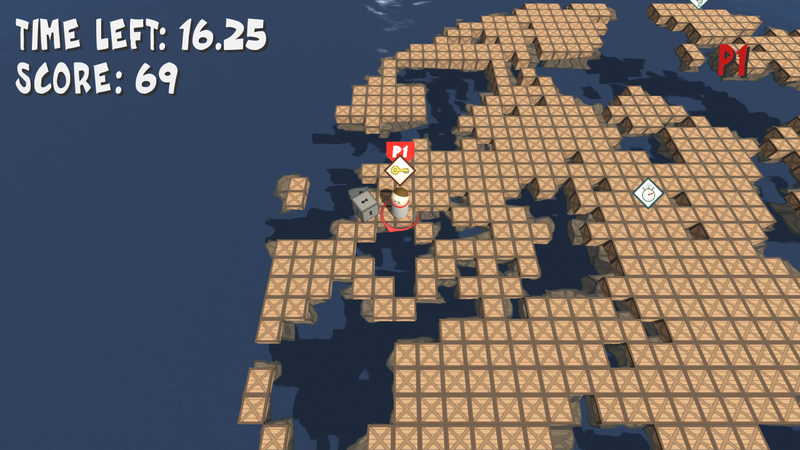 This game was made in under 48 hours, during the 38th Ludum Dare competition. Source code can be found under the download list. The theme was "small world". 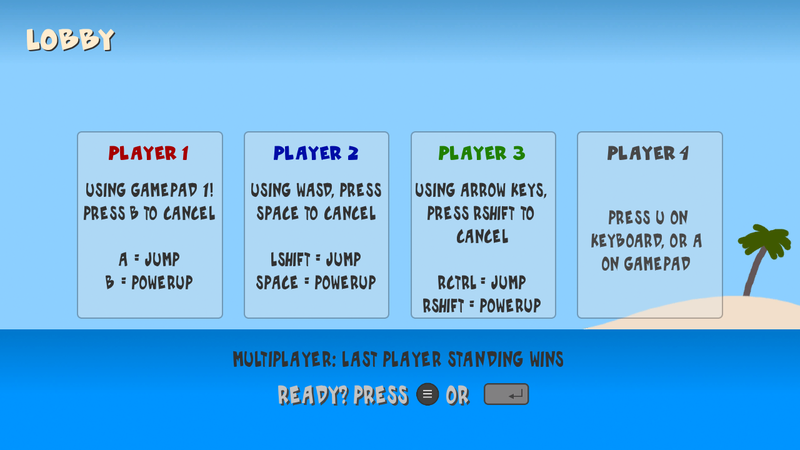 Download the desktop version of the game below. You can also play it in your browser using the WebGL build, but please note that the WebGL version performs quite a bit worse than the desktop game.